They want to close it. I understand the “why,” but how about the “how?” How could a town as large as Morristown be left post-office-less? The letter came in the mail and included a survey. 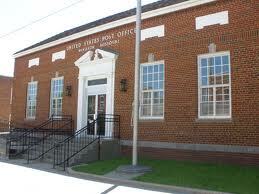 We were asked to answer all the questions that would help decide the future of Morristown’s Post Office. Can it be that citizens actually have a voice in Post Office decisions? Can it be within my power to stop the close-happy powers in their slimy tracks? I will help save this needed facility. I will protect the jobs of all the employees working there. I’ll let the survey senders know how valuable the post office is to our town. The questions on the questionnaire looked easy enough: do I buy stamps there, “yes’’. But daily? monthly? once in a decade? I buy stamps when letters bounce back warning, “needs more postage.” If they would stop raising the price of stamps by one penny I’d have stamps with the right postage. But then came the nastier, trickier questions. 1) Buying stamp-collecting material. No. I have never been attracted to the sedentary style of this hobby. I much prefer walking, swimming, or hot-air balloon riding. Therefore I do not buy stamp collector materials here or anywhere. I had to check the “never” box. 2) Entering permit or bulk mailings. Could they mean the birthday present I send Aunt Gertrude every April 28th? That’s probably not what the P.O. means at all. Since I don’t do bulk mailings I had to check “never” again. 4) School Bus Stop: What does that have to do with the post office? This is getting silly. 5) Community gathering place: I can see it now: “Friends of Night Crawlers’ Association” will meet at the post office for our annual meeting.” Ridiculous. Of course nobody uses the post office as a gathering place. Must I check another “never” box? If these are the kinds of activities the Morristown Post Office sponsors, and so many “never” boxes were checked, maybe they’re right. Now I wonder why post offices were invented at all.